How high are realtors´ and lawyers´ fees in Cape Verde? What about other property purchase costs? How difficult is the property purchase process in Cape Verde? 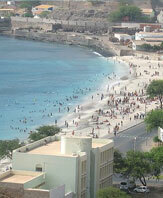 Foreign nationals may freely purchase residential properties on the Cape Verde Islands. When buying property in Cape Verde, the buyer is not required to open a bank account, although some real estate agents advise it to make payments and property management easier. Taxes have to be paid in the local currency. A tax card has to be obtained from the Local Tax Office. A lawyer can be assigned to do this on behalf of the buyer, with a corresponding Power of Attorney, written in Portuguese. The lawyer also obtains the land registry certificate (Certidao do RegistroPredial), tax information certificate (CertidaoMatricial), and the map showing the exact location of the property(Planta de Localizacao). In case the property is not registered, the lawyer acquires a certificate claiming that the property is not registered in anyone´s name(Certidao pela Negativa) and another certificate confirming that the property is not registered in anyone´s name(CertidaoMatricial Para o Efeito). These certificates are needed to register the property. Once a property has been chosen and price is agreed upon, a promissory contract of purchase and sale (ContratoPromessa de Compra e Venda) is signed, binding both parties to the agreement. The buyer also needs to pay a deposit upon singing of the contract. The deposit amount is negotiable, and a deposit of around 30% is generally customary. The Deed of Conveyance, or the Escritura, is signed in the presence of a Notary Public to transfer the title to the buyer. This should be done within30 days after the signing of the promissory contract of purchase and sale. The buyer needs to pay the remaining balance and the taxes.The lawyer can also sign the Deed of Conveyance and pay the taxes on behalf of the buyer. Registration of the property is done at the local Land Registry and the localMunicipal Authority. Cape Verde uses Cape Verde Escudo. Exchange rate is at €1=CVE110.252 as of 5th July 2006. How landlord-friendly is the law in Cape Verde? Some of these costs are incorrect. The closing costs are 5% of the sales price. This includes the 3% Govt tax and 2% covers notary and registration fees. Lawyers cost between 1,000 euros to 2,000 euros in Cape Verde. Non Cape Verde based lawyers can be more expensive.